A crucial thing to keep in mind during the planning stages of your kitchen remodel or new construction is functionality. This is something we focus on heavily when getting to know a new client and how they use their space. You want something alluring and functional. By spending some time now to thinking through how you will interact and use your new space, you will love the end-result much more and create more value in the process. 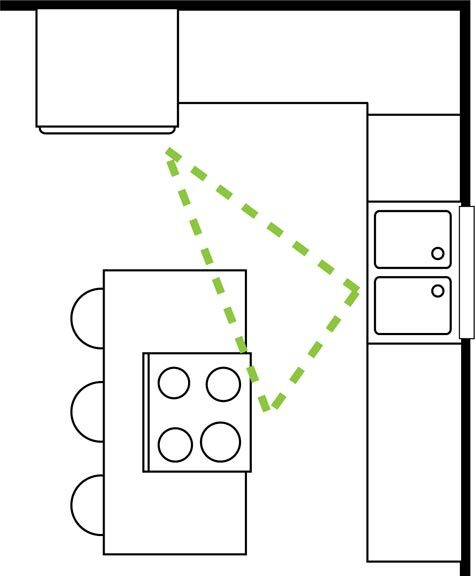 If you are building or remodeling a kitchen, keep your work triangle between the range, fridge, and sink and actually figure out how many steps it will take to travel from one station to the other. Did you know the most traveled path in a kitchen is between the refrigerator and the sink or that the counter space between sink and stove is the heaviest used? These are things we can help you incorporate into your design to improve functionality. Want to have some open wall space, perhaps with some exposed shelving? Designing in a food pantry or pull-out pantry is a great idea and will add function to the design. In the process, be sure to think about what will be stored in that pantry and factor in the proximity of the pantry to your work triangle. If you need that extra box of pasta, brown sugar, or breadcrumbs, you don’t want to take ten steps each way to retrieve it.